Subscribe now for access to your own personal curated daily news stream. 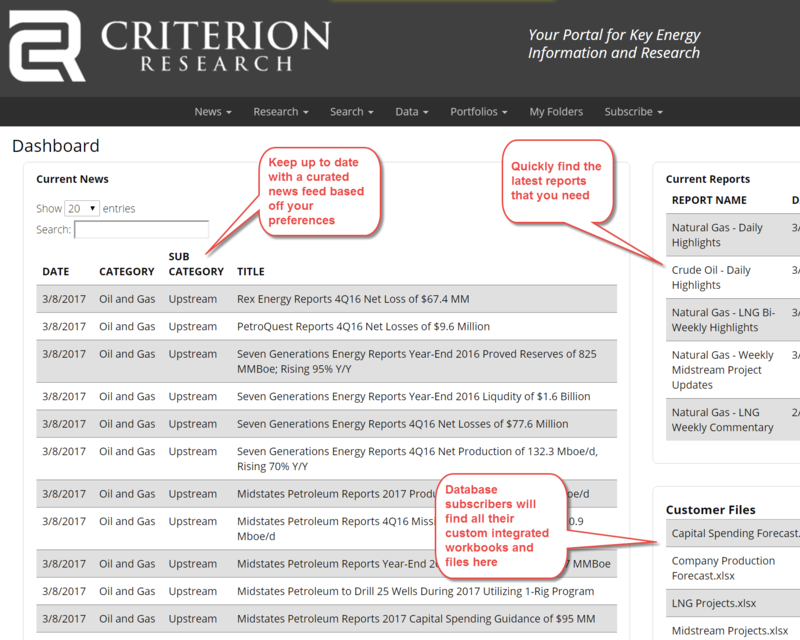 Criterion’s strategic intelligence team analyzes this stream of information and reduces it down into short, easy-to-read Snippets so that you can understand key market changes in less time. As a subscriber, you can choose what news you receive through our custom portfolio creation tools. The news will be curated to your specifications and sent to your inbox on a daily basis to provide you with actionable intelligence. Along with daily emails, you can access your own curated news stream throughout the day on the interactive Daily Dashboard tab on our website.